Gain even more savings by combining your airfares and accommodations. Expedia has plenty of outstanding Cupecoy vacation packages that'll simplify things and give you more cash to splash! Wouldn't it be nice to earn savings up to C$590*? Purchase a package deal on Expedia today! You won't need to click around a whole bunch of websites to secure your travel bookings. With more than 400 partner airlines and 321,000 properties worldwide, our international database has everything you need. It can be quite pleasant to just amble around the streets in a new place, but sometimes it's sensible to have a plan in place. 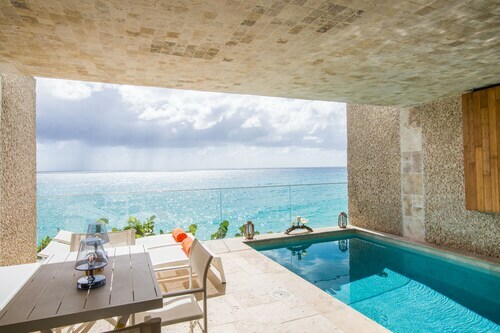 Grab your travel program — we have some fantastic ideas for your impending Cupecoy vacation. Maho Beach and Marigot Market are among the most popular sights here. Why not circle them on your map and see what all the talk is about? Try to picture the fighters who once watched over Fort St. Louis. The fury of past combats are evident on its formidable walls. Adventurers are spoilt for choice in and around this destination. Step into a world where hands are dealt, high-stakes games are played and crowds go wild. Casino Royale is the place to go for a memorable night out. Still got time on your hands? Plush decor, magical lights and stylish staff are a few of the things you'll encounter at Hollywood Casino. Walk around the gaming tables or just sit back with a cocktail and revel in the atmosphere. Getting cozy places to stay is key when it comes to organizing luxury getaways or cheap vacations. Fortunately, Cupecoy has approximately 53 accommodations, so you'll be spoilt for choice. 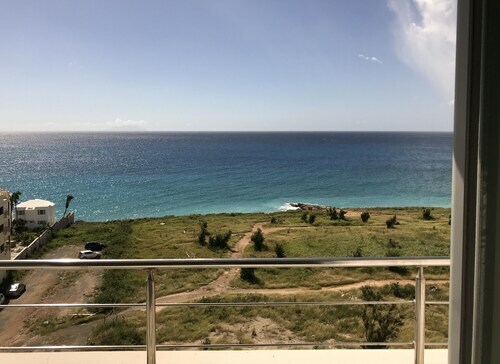 The Belmond La Samanna (Baie Longue) and the Sonesta Ocean Point All Inclusive Resort (1A Rhine Rd) are two of the higher-quality options in Cupecoy. Stay at either and you're sure to have some of the nicest rooms in town. If you don't fancy spending such big bucks, why not spend your nights somewhere more affordable? Take a look at the Love Residence (134 Boulevard de Grand Case) or the Le Temps des Cerises Hotel Beach (158 Boulevard de Grand Case). Positioned just 1 mile (2 km) away, Princess Juliana International Airport (SXM) is the closest terminal to your destination. Buckle up that seat belt and turn off that in-flight film — your well-deserved trip to Cupecoy is about to begin! Situated in Lowlands, this condo building is within a 15-minute walk of Blue Mall and American University of the Caribbean. Maho Beach is 1.3 mi (2.2 km) away. 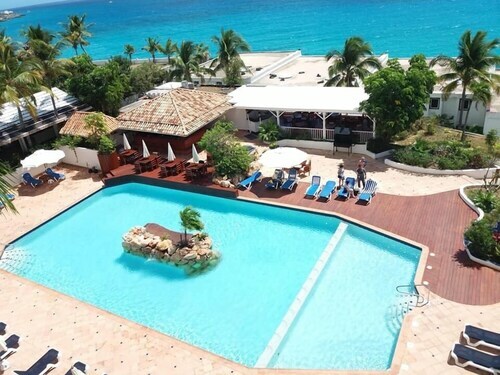 Terraced into a low hillside with sweeping views of the sea, this family resort in St. Maarten is situated on the island's southwest shore, just steps from the French-side border. Situated in Lowlands, this condo building is within a 15-minute walk of Blue Mall and American University of the Caribbean. Maho Beach is 1.5 mi (2.4 km) away. Situated in Lowlands, this romantic condo building is within a 10-minute walk of Starz City Casino and American University of the Caribbean. Maho Beach is 1.1 mi (1.8 km) away. Situated in Lowlands, this golf condo building is within 1 mi (2 km) of Long Beach and American University of the Caribbean. Maho Beach is 1.8 mi (3 km) away. 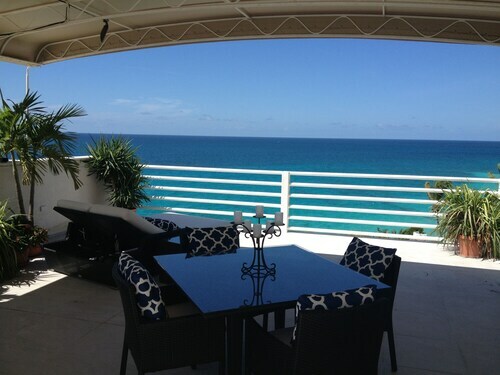 Situated on the beach, this historic villa is within a 10-minute walk of Blue Mall and American University of the Caribbean. Maho Beach is 1.2 mi (2 km) away. Situated by the sea, this spa resort is within a 15-minute walk of Blue Mall and American University of the Caribbean. Maho Beach is 1.4 mi (2.2 km) away. Situated in Lowlands, this luxury condo building is within 1 mi (2 km) of Long Beach and American University of the Caribbean. Maho Beach is 1.8 mi (2.9 km) away. Thu., 25 Jul. - Mon., 5 Aug.